The final fit on the prototype. Update: its holding on. Today I got my hands dirty and actually tested the prototype by placing it on the frame, not only does it almost fit perfectly, but it also seems to be holding up quite well. 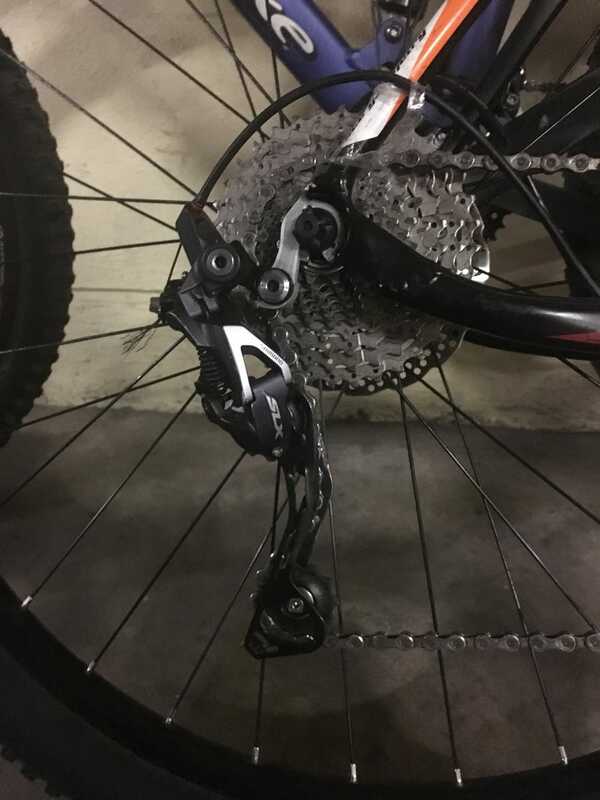 As the picture shows, the metal derailleur (which has the chain attached wrong on that picture) already dented the plastic hanger. I test rode it around the block and it did fine! I am actually amazed because its holding up quite nicely... the only issue I find is in the lower gears, as the derrailour is hanging dangerously close to the wheel, because its being hung by biodegradable plastic, I can’t seem to trust it when going through rough terrain. Update: I’m riding nervously, but at least I’m riding.